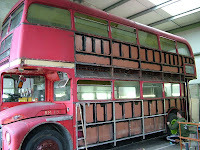 RM1152 is now in the workshops and has already been stripped out internally. 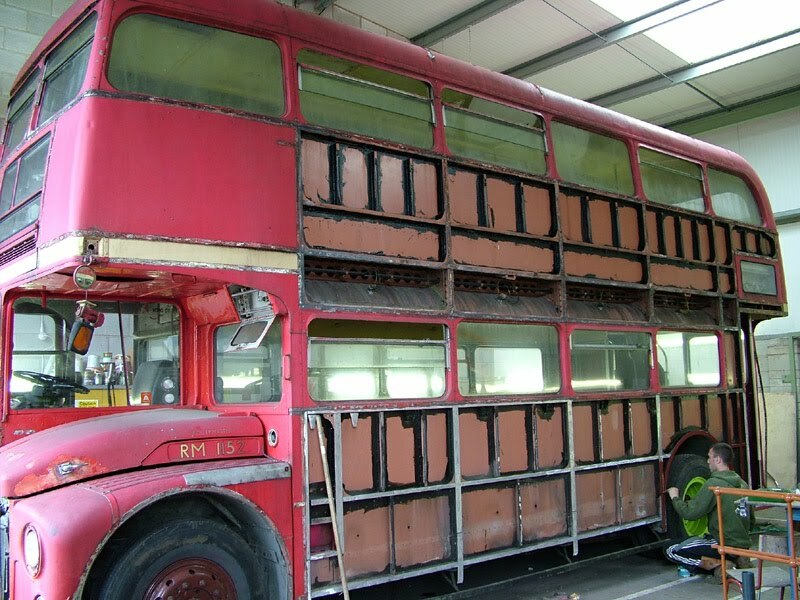 Externally, the bus will be completely repanelled. 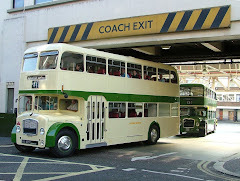 The restoration has been commissioned jointly by its owner John Pryer and Omnibus Systems, the bus industry's leading passenger transport software supplier. Upon completion, the bus is scheduled to appear in the EuroBus Expo event at the NEC in Birmingham (2-4 Nov). RM1152 was new to London Transport in May 1962 and survived in service in the capital until September 1986, passing to Clydeside Scottish the following year. It was sold to PVS in Barnsley upon final withdrawal in 1990 but was purchased for preservation in July 1991. Returned to LT livery, it passed to John Pryor in 1996. Mechanical problems have resulted in RM1152 being laid up since 2008 and the BusWorks has fitted a replacement B-frame, new exhaust and steering units and overhauled brakes.